The fifth edition of Tallinn Architecture Biennale (TAB 2019) (www.tab.ee), announces the Open Call for its Vision Competition. TAB 2019, which will take place from 11 September – 3 November 2019 with its Opening Week on 11-15 September 2019, is dedicated to the theme “Beauty Matters: the Resurgence of Beauty“ and it is curated by Israeli-born, London-based architect and researcher Dr. Yael Reisner (Yael Reisner Studio). 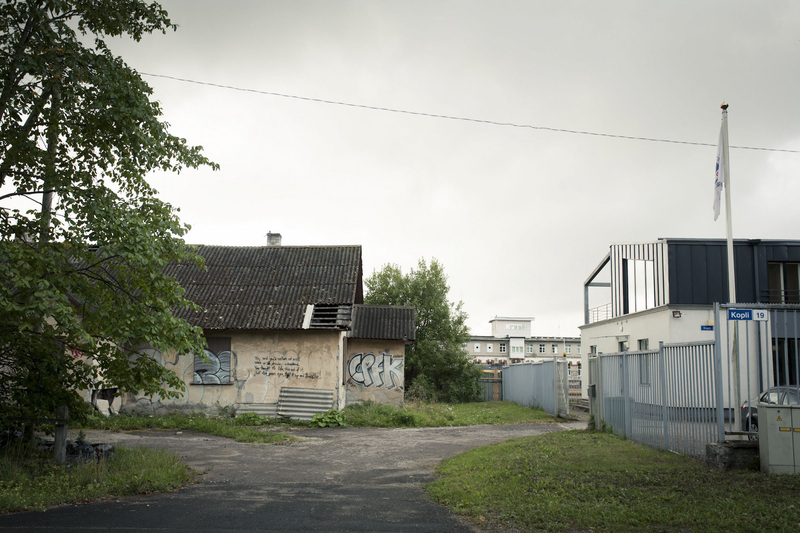 Related to the main curatorial topic, this year’s competition focuses on the east side of Kopli, part of Kalamaja, an urban area in the North of Tallinn. The curatorial team asks that the proposals escape the bland globalisation of standard developer architecture and find new concepts in keeping with the alternative lifestyles of Kalamaja’s inhabitants. Endrik Mänd (Chief Architect of Tallinn) says: “The area has major development potential with its long coastal line and diverse former industrial sites that are now being used as public spaces”, while TAB 2019 Head Curator Dr. Yael Reisner suggests: “A goal is to envision the shared eco-system, enhancing relationships between people, flora and fauna, exploring the relationship between the organic and inorganic, and considering indoors as outdoors”. The complete Vision Competition brief is available at www.tab.ee. Participants may submit relevant questions until 15 December, 2018 to: vision@tab.ee. Tallinn Architecture Biennale will be hosted in several venues in the city centre of Tallinn, such as the Museum of Estonian Architecture and the Tallinn Creative Hub, and its curatorial theme will be unfolded through the main Curatorial Exhibition, a 2-days Symposium and the abovementioned Vision Competition. The pursuit of beauty has ceased to exist as a leading generator in architectural design, as a result of ongoing denigration and aggressive suppression. In our augmented age and post-digital architecture, beauty matters once more. The term “post-digital architecture” recognizes the human role in digital design – where human judgement and cognitive intuition propel digital progress. As neurobiologists claim, humans experience four types of beauty in their emotional brain: visual, musical, moral and mathematical; each can be recorded and even quantified. Moreover, our civilization couldn’t exist without the recurrence of pleasures, including experiencing beauty. It makes us not only happier, but healthier. It is the architects’ creative role to bring new beauties to cities by substituting alienation with a wider palette of emotional involvement, and to introduce the diverse experiences of beauty into architecture. Tallinn Architecture Biennale is an international architecture and urban planning festival with a diverse programme that promotes architectural culture. TAB encourages synergies between Estonian and foreign architects, as well as between architects and the general public by way of creating contacts and exchanging ideas. The core programme consists of five main events: a Curatorial Exhibition, a Symposium and the Tallinn Vision Competition, all curated by TAB Head Curator, an International Architecture Schools’ Exhibition and the Installation Programme. Moreover, the programme is accompanied by a diverse Satellite Programme, that consists of exhibitions, lectures, installations, architectural film projections and other events spread around the city. Tallinn Architecture Biennale is organised by the Estonian Centre for Architecture.